A stylish showpiece for your dining area, the Monet Dining Chair Grey is a modern and luxurious choice that will be the talk of your interior. Bringing modernity to the classic dining chair, the Monet effortlessly combines both class and comfort. 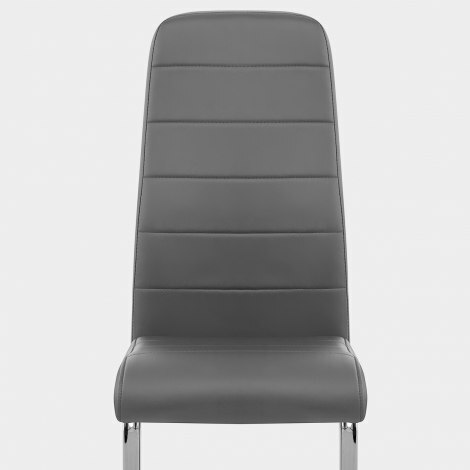 Swathed in glamorous grey faux leather, the densely padded seat and tall backrest have a segmented horizontal stitch detail for a fashionable flair. 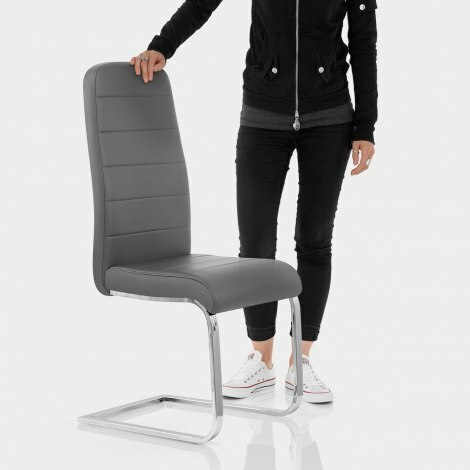 The seat pad cascades down towards the frame, which has a striking and strong cantilever design and a contemporary chrome finish. Striving to keep your floors free from scuffs, protective pads are included beneath the frame, making the Monet a truly multipurpose piece. 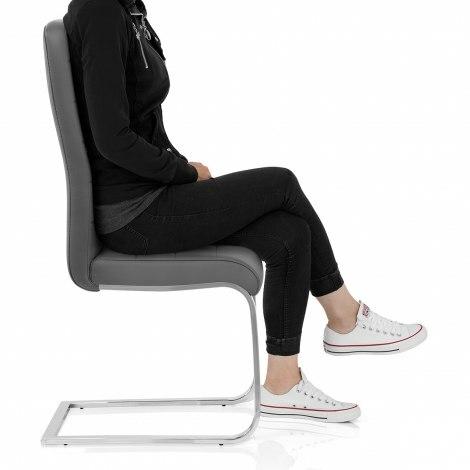 "Very good value for money, really sturdy chairs"
Love these chairs i have 4 now. Made. Good value for mone. Great quaility, easy to assemble. Very quick delivery and excellent value for money. Very happy with the quality of my chairs and an excellent price.